The chimp in the jungle has three primary drivers: to procreate; to stay alive and to provide shelter. By bringing those drivers into society, two of the three requires money: to stay alive you need to eat, to eat you need money and to provide shelter, you need to buy or rent a house you need money. 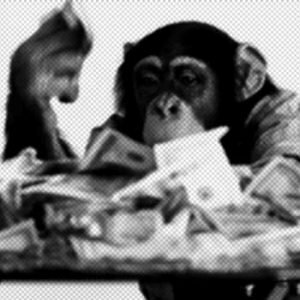 The chimp quickly realises that money will help them to achieve the majority of their goals. The problem with this approach to working is that the lure of money quickly gets forgotten and motivation dies in a similar way. The chimp either falls out with their peers and/or bosses and then gets the offer of more money from another company, and so is forever chasing a bigger salary.